Three Bean Salad - Eat. Drink. Love. Celebrating the 4th of July is synonymous with burgers, hot dogs, desserts, chips, etc (you know, basically any junk food!). So by no means am I going to pretend we had a really healthy meal on the 4th of July. I mean, that would just be very un-American of me! We had southwestern burgers and strawberry and blueberry cobbler (those recipes will be posted soon), but I wanted to try to off-set the bad carbs and sugar with a side dish that I could feel better about eating! This three-bean salad is delicious and healthy and it’s a great substitute for mayo-ridden potato and pasta salads. It’s very easy to make and is perfect for summer picnics and BBQ’s! 1. Drain and rinse beans in a colander. Transfer beans to a bowl. Add in all other ingredients and mix. Chill for 1 to 2 hours before serving. Looks delicious! I have really learned how to enjoy those types of salads….I’m glad you had a fun 4th of July and I look forward to your next post! I always try to have something healthy in every meal. It may not be a lot but it is there. This looks like a tasty yet healthy side dish that would find its way to my table-thanks for sharing. Glad you had a nice 4th. 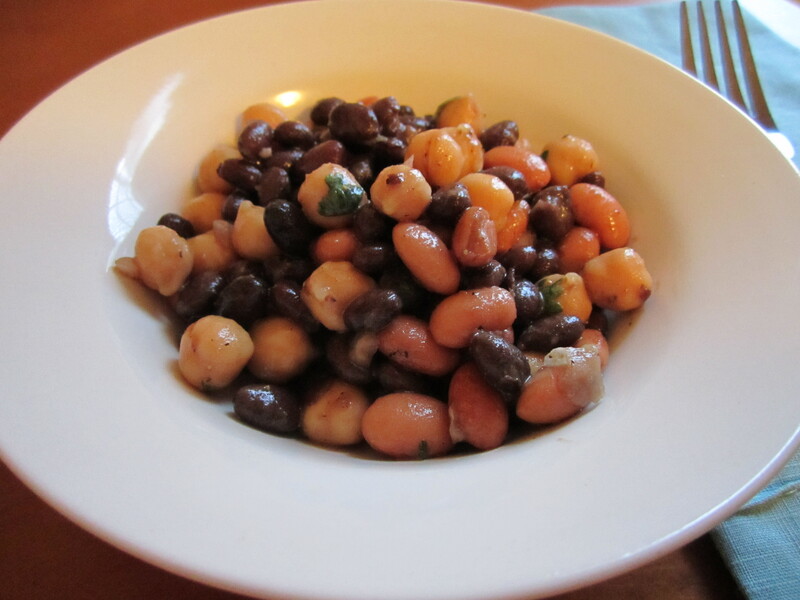 Pingback: Flashback Friday: Three Bean Salad - Eat. Drink. Love.